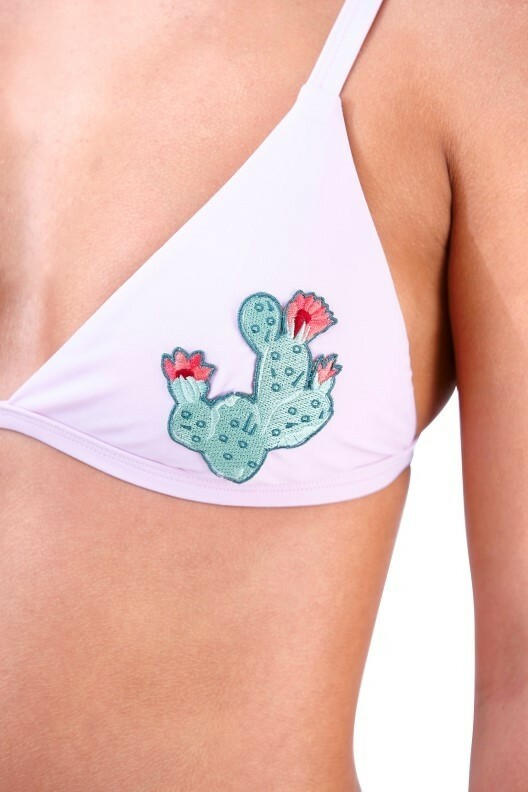 Check out our lilac cactus applique triangle bikini set. Featuring a triangle bikini top with embroidered cactus applique on front, adjustable straps and metal clasp back fasten with matching lilac skinny side bikini briefs. Made from: 82% Nylon, 18% Spandex, Lining 100% Polyester, excluding trimmings.